The Avaya 9641GS IP Deskphone Dubai has a graphical display, big capacitive touchscreen, HD audio quality, a secondary Ethernet port, Gigabit Ethernet, and support for expansion modules. The Avaya 9641GS Dubai pulls your enterprise IP network to provide sophisticated voice communications from headquarters to remote locations and users. The Avaya 9641GS IP Deskphone Dubai is an executive IP phone for effective control of your communications with a capacitive touchscreen and combined Bluetooth support. A 5-inch 24-bit color TFT display with 480 x 272 pixel resolutions offers you a beautiful and familiar interface for taking benefit of the advanced technology Avaya has included. HD Audio quality including the full-duplex speakerphone and optional headphones, whether plugged into the headset jack with EHS support or a wireless Bluetooth headset. The Avaya 9641GS IP Deskphone Dubai has two Gigabit Ethernet ports. The switch port is Power over Ethernet compliant, allowing you get rid of extra cabling and enjoy the graceful design of the 9641GS. Avaya designs phones to incorporate with unified communications platforms, given that you with H.323 and SIP support. Connect up to 3 expansion modules for even more productivity-enhancing keys. Competitively priced and high performing, the Avaya 9641GS IP Deskphone Dubai has a color graphical display, big capacitive touchscreen, Gigabit Ethernet, HD audio quality, a secondary Ethernet port, and support for up to three 12- or 24 key Expansion Modules. Part of the 9600 Series IP Deskphone Dubai family, the 9641GS Dubai IP Phone pulls your enterprise IP Network to provide stylish voice communications from headquarters to remote locations and users. Combined with the Avaya Aura® and Avaya IP Office™ Platforms, the evolutionary approach of the 9641GS IP Phone Dubai improves communications over a flexible architecture that leverages current investments and accommodates changing business requirements. 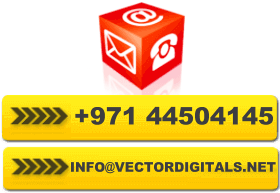 Vector Dubai specializes in providing Avaya services and maintenance of Avaya telephone systems to respond most effectively to the demands of the customers.